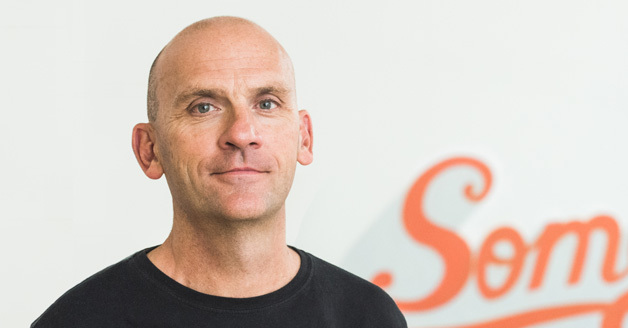 Jez Nelson is the CEO and CCO of Somethin’ Else. He founded the business in 1991 with a £500 redundancy payment from Jazz FM. He has since led the growth of the business to the point where it is widely regarded as one of the leading content agencies in the UK. Today Somethin’ Else works across all platforms providing quality content, services and strategy for a wide range of brands and broadcasters. The company is a leading multi-platform supplier to the BBC, producing thousands of hours of radio, TV, online video and social assets every year. Other broadcast clients include Sky, Channel 4, ITV and UK TV. Brand clients include Oxfam, Playstation Top Man, The BRITs, Swarovski, Red Bull, Penguin Random House and The Economist. Somethin’ Else produces many podcasts for broadcasters and brands and is about to launch a number of direct to audience podcast series. Jez is also a broadcaster. He has presented programmes for BBC 1 and 2, BBC Radio 3, 4 and 5 live and many commercial radio stations. He currently presents a weekly show on Jazz FM.